A very warm welcome to WTM London 2018 – the event where ideas arrive – and to this, our dedicated magazine for members of the WTM Buyers’ Club. 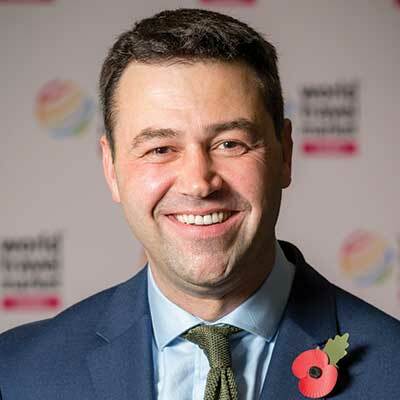 Our Buyers’ Club constitutes the world’s largest network of senior buyers and decision makers in travel and, every year, the value of business that is conducted or instigated at WTM London increases; this year we anticipate that more than £3 billion in deals will be agreed over the next three days. We’ve enhanced the event in 2018 to ensure that you leave WTM London with vital insight and fresh ideas to take back and implement within your businesses. Newly introduced regional Inspiration Zones, on the show floor, will be hosting seminars, panel debates and interviews with some of the biggest names in the global travel and tourism industry – covering hot topics including Brexit, responsible tourism and digital trends. We’ve also ramped up our focus on research-led content to give you the data and information you need to support your purchasing decisions. New for 2018 is the launch of Travel Forward, a dedicated technology conference and exhibition, which takes place alongside WTM London and offers our most comprehensive coverage of the travel technology sector yet. And we’ve added a new WTM Agency Pavilion, enabling marketing, representation, PR and social media agencies to exhibit at the event for the first time. 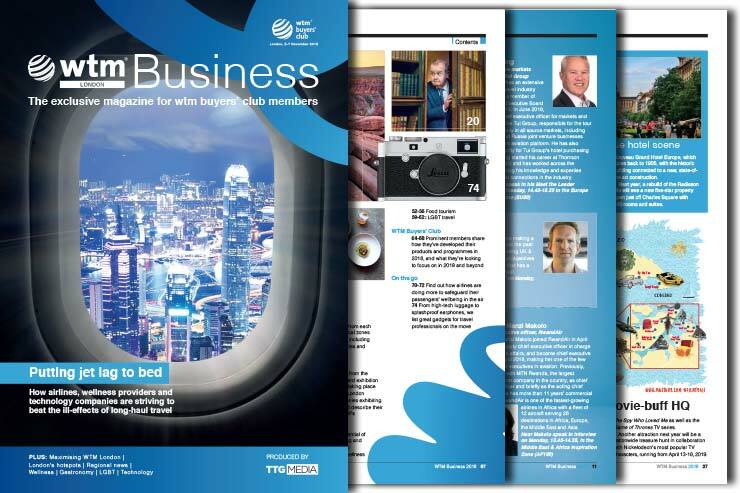 In this magazine, we’ve asked prominent members of the WTM Buyers’ Club why they think WTM London is a must-attend event, and we invite all members to take advantage of our two Buyers’ Lounges, where we offer all the facilities you need to hold your business meetings, or simply take a break and recharge. I wish you a productive and thought-provoking three days here with us at ExCeL London, and look forward to welcoming you again at one of the WTM events in 2019 – WTM Latin America (April 2-4), WTM Africa (April 10-12), Arabian Travel Market (April 28-May 1) and, of course, WTM London (November 4-6, 2019).